I've previously written an article about what I feel GT6 needed to improve on over GT5, and now here's an update that should interest all aspiring GT6'ers. The following writeup is a summary of details recently made available through interviews and articles, primarily from the great team over at GTPlanet. PD has been working on an entirely new sound engine for a few years. They are rebuilding the entire system for GT6. They also say that the GT5 sound "is not good enough for GT6." However, the boss Kazunori says "there hasn't been a breakthrough yet" and he wasn't certain the entirety of new sound features would make it into GT6 in time for release, at the time GTPlanet interviewed him. The sound heard in the demo is just "sound effects" and is NOT represenative for the game. That explains why the R8 and SLS GT3 have identical engine notes in the second trailer. It unfortunately looks like time and weather changes still will only be on select circuits. 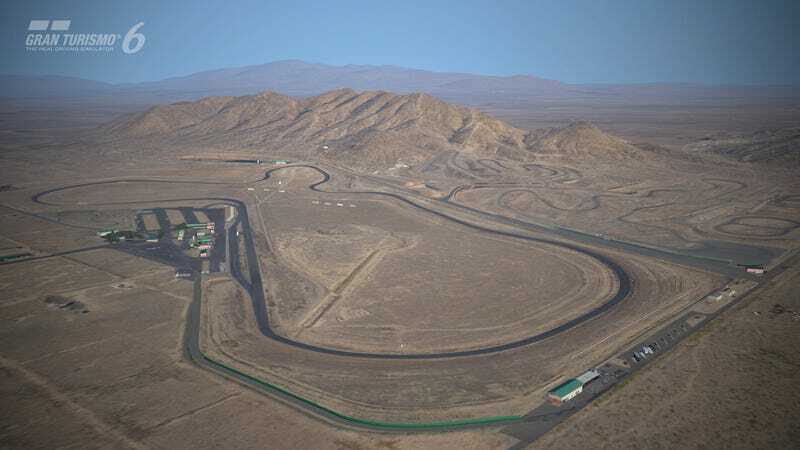 Willow Springs and Silverstone will be changeable. Rendering the circuit for changes without suffienct weather data would reduce the visual quality, says Kazunori. There will be over 33 locations and 71 different configurations. Amongst them there has been a mention of a street curcuit based on the streets inside Andalucia and the surrounding roads. There will be one new circuit each month made available as a DLC, according to producer Taki Imasaki. PD has teamed up with Yokohama to study the different tire compounds in more detail and been able to utilize their testing equipment. The Nissan GT-R raced at this years N24 was fitted extensively with sensors to collect tire data. Those who have played the demo say there is a more real feel to the racing tires and the sports tires are more agile than before. Much broader range of performance regarding tires. PD has teamed up with KW Suspension to study and gain insight into more realistic damper movement. They have utilized a seven axis test rig to simulate movement. "This data is really intersting to us" and "it's a major thing for us to learn more about things we really need to know about" say the people behind GT6. In other words, we're in for a hell of an upgrade in this area. The GT Academy racers who tried the demo say the cars apparently have more body roll, you can feel the weight transfer but the game still retains "the Gran Turismo feel" in a good way. You now also feel where the grip is, both car control-wise and circuit-wise. Cars react harshly to rough curbs. Race cars are twitchier and spin out more eaaily. More is required from the driver in terms of throttle modulation. The AI engine is also being rebuilt from scratch, like many key parts of the game (rendering engine etc.). Basically it's a bit like Daft Punk's newest album, starting from scratch with spills from before. No major changes from GT5. That isn't necessary either, in my opinion. Happy? Not happy? Still worried about the game? Have your say in Kinja below.